Chemtrails and SCALAR WAVES - Chemtrails Spraying and SCALAR WAVES - SCALAR WAVES Chemtrail Information - Stop Chemtrail Spraying in California! 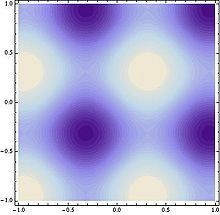 A scalar field such as temperature or pressure, where intensity of the field is graphically represented by intensity of the color. In mathematics and physics, a scalar field associates ascalar value to every point in a space. The scalar may either be a mathematical number, or a physical quantity. Scalar fields are required to be coordinate-independent, meaning that any two observers using the same units will agree on the value of the scalar field at the same point in space (or spacetime). Examples used in physics include the temperature distribution throughout space, thepressure distribution in a fluid, and spin-zero quantum fields, such as the Higgs field. These fields are the subject of scalar field theory. Mathematically, a scalar field on a region U is a real or complex-valued function or distribution on U. The region U may be a set in some Euclidean space, Minkowski space, or more generally a subset of a manifold, and it is typical in mathematics to impose further conditions on the field, such that it be continuous or often continuously differentiable to some order. A scalar field is a tensor field of order zero, and the term "scalar field" may be used to distinguish a function of this kind with a more general tensor field, density, or differential form. Physically, a scalar field is additionally distinguished by having units of measurement associated with it. In this context, a scalar field should also be independent of the coordinate system used to describe the physical system—that is, any two observers using the same units must agree on the numerical value of a scalar field at any given point of physical space. Scalar fields are contrasted with other physical quantities such as vector fields, which associate a vector to every point of a region, as well as tensor fields and spinor fields. More subtly, scalar fields are often contrasted with pseudoscalar fields. Potential fields, such as the Newtonian gravitational potential, or the electric potential inelectrostatics, are scalar fields which describe the more familiar forces. A temperature, humidity or pressure field, such as those used in meteorology. In quantum field theory, a scalar field is associated with spin-0 particles. The scalar field may be real or complex valued. Complex scalar fields represent charged particles. These include the charged Higgs field of the Standard Model, as well as the charged pion mediating the strong nuclear interaction. In the Standard Model of elementary particles, a scalar Higgs field is used to give the leptons and massive vector bosons their mass, via a combination of the Yukawa interaction and the spontaneous symmetry breaking. This mechanism is known as the Higgs mechanism . The Higgs boson is still the subject of searches at particle accelerators. In scalar theories of gravitation scalar fields are used to describe the gravitational field. scalar-tensor theories represent the gravitational interaction through both a tensor and a scalar. Such attempts are for example the Jordan theory  as a generalization of the Kaluza-Klein theory and the Brans-Dicke theory . Scalar fields like the Higgs field can be found within scalar-tensor theories, using as scalar field the Higgs field of the Standard Model , . This field interacts gravitatively and Yukawa-like (short-ranged) with the particles that get mass through it . Scalar fields are found within superstring theories as dilaton fields, breaking the conformal symmetry of the string, though balancing the quantum anomalies of this tensor . Scalar fields are supposed to cause the accelerated expansion of the universe (inflation ), helping to solve the horizon problem and giving an hypothetical reason for the non-vanishingcosmological constant of cosmology. Massless (i.e. long-ranged) scalar fields in this context are known as inflatons. Massive (i.e. short-ranged) scalar fields are proposed, too, using for example Higgs-like fields (e.g. ). Vector fields, which associate a vector to every point in space. Some examples of vector fieldsinclude the electromagnetic field and the Newtonian gravitational field. Tensor fields, which associate a tensor to every point in space. For example, in general relativitygravitation is associated with a tensor field (in particular, with the Riemann curvature tensor). InKaluza-Klein theory, spacetime is extended to five dimensions and its Riemann curvature tensor can be separated out into ordinary four-dimensional gravitation plus an extra set, which is equivalent to Maxwell's equations for the electromagnetic field, plus an extra scalar field known as the "dilaton". The dilaton scalar is also found among the massless bosonic fields in string theory. A. C. Griffith was associate within NSA, he carried top secret clearance, a cryptographic clearance, and in more recent times he was associated with CIA operations. He was married to lady lawyer, judge, his father in low was chief justice of the supreme court of Virginia. Several years ago I've got a call from Mike Blair from the "Spotlight" newspaper in Washington, now called "The American Free Press", he asked me to help work with him on the story about the white trails coming from the airplanes. And time is gone by and I guess this was 8 or 9 years ago. We actually got inside the program. We were the only people in the world that have actually got inside that program. The aerosol program, the chemtrail program. I am talking about, actually, getting inside the program at Wright Patterson air force base where it is been managed. And we actually got into some of the people that were dissatisfied form within the program they divulged. A lot of the acronyms and the purpose of the program and so on, and that is the only way that anybody could ever have broken the secrecy of this program. We know that people have died over this program. People have been hit, to keep them quiet. And we know that other things have happened at key people of this program. One of the key people that designed the aerosol, the barium salt aerosol, was set-up by the people in Reagan administration, and he is now sitting in the federal penitentiary. They still go to him to ask him questions, but jet he is in the prison. That is little unnerving, isn't it? That the man that has designed the barium salt aerosol is sitting in the prison. The white trails are not coming out of the engines, its coming out of the aerosol units on the aircraft. In the very beginning, at early days, the aircraft were flying relatively low, 10.000 feet or bellow, and they were developing the program. They were mostly contract aircraft, mostly CIA aircraft. Now program has been extended and commercial airliners have been outfitted with aerosol units that are controlled thru computer systems and satellites to dispense a barium salt mixture. 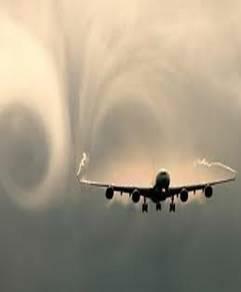 So the mixture of barium aerosols are not coming thru the engine, its coming out of the aerosol units. And we have checked on information and we do confirm that the name the project is "Project Cloverleaf" in the aircraft industry. It is very secretive, it is the most secretive I have ever encountered. People have died over this talking about it. I listened to your broadcast just few minutes ago, the general was on saying that he is very patriotic and he feels compelled to speak out, and that is exactly the way as I feel. I am very patriotic. I was born before the WWII, I am an old guy. And I come from that generation and that mind set. This is my country. And I see my country being dissolved. My country is being destroyed right in front my eyes, and the people are being hurt, and that's why I consented to be on your radio program today. You all remember you asked me many times to do this and I have been very reluctant, but its time, its time to speak out and go public with things. ...You do this with considerable amount of risk to your own life, do you not? So, there are people who have lost their lives, people who are now in prison as result of divulging this information. You were as you say very patriotic, you still are very patriotic, and you are doing this out of patriotism, out of love for this country. You know Joyce, I am in Richmond Virginia, just a few miles from the spot that Patrick Henry stood in 1775. He was talking to Thomas Jefferson, George Washington, and George Whitehead, and others in St. John's church. And they were talking about the oppression coming from England at the time. And he was little put out at them for not deciding a course and he concluded his speech to them with: " I do not know what course may other choose, but I as for me - give me liberty or give me death". And I think we are approaching a time like that. ...Fast forward again to the Iranian Contra. The boy count, with the Clinton body count in a Mina Airport, Arkansas, was about 75 people that were suicided. The CIA operated that whole thing at Mina Airport. They put in the Richmond Aviation company for CIA front and brought aircraft in from all over the world for refurbishing. Barry Seals showed up again, remember Barry Seals now with the Kennedy thing, and Carlos Marcello, the drug dealer. Barry Seals got a KC123 out of Wright Patterson flying guns to South America, and drugs back. They were dealing in hundreds of tons of drugs. It was so many drugs, it was like freight trains loaded with drugs, and 75 people that got in the way were taken out including Vance Pollster and all those people. Admiral Jeremiah Border, he was a chief of naval operations. He was a Jewish man. He enlisted in Navy when he was 17 years old and stayed an enlisted man for 6 years, and then went up in the ranks to become no. 1 naval officer in the USA Navy. He was Chief of Naval Operations. Well, un-expectedly one night he decide to suicide himself in his house, and he shot himself twice in his chest with the shotgun. He was the Chief of Naval Operations and he opposed the chemtrails project. Then the chemtrail project started after admiral Border was replaced. Jeremiah Border. He was a dedicated man, he was sincere man, he was a good man. So, you see the picture of how this thing operates. The CIA finances projects with moneys earned elsewhere. Moneys that going to CIA projects don't necessarily come out from congressional appropriations. And I will tell you that the congress is completely oblivious to the aerosol program. They are afraid to ask. I had an meeting with the administrative aid of the congressman, he drove all the way to Richmond from Washington to meet with me. We spent about one hour, I gave him complete overview presentation. He looked at me, stood up and he said: "What you expect me to do Griff, they would lie to me to", and I shook his hand, hugged the secretary and he left. Lets talk about chemtrail aerosols, you did significant research, you got in to the program itself, and Sir what did you learn?. It is not that simple Joyce, it is a very complicated thing. You must know the people, you must know what they are capable of, you must know their intent, you must realize that you are dealing with people with no faces that have not been elected. You do not know who they are, you do not know what are they putting in those aircraft. The security on the substance going into the aircraft, what ever somebody puts in the aircraft it is going to come out from the aircraft. That is the real concern. The EPA has been told to keep their nose out of it. On the state levels, the state, here in Virginia is the Department of the Environmental Quality, I was told by high people there, they have been told to live it alone, don't look at it, don't at the air quality when it comes to the aerosols. Talk about ozone level involved. Representative Kucinich introduced HR 2799 an he was called aside and told to take it out and he did and he got very quiet about it. I cannot tell you enough that this is very dangerous thing to get in to. It is very dangerous to talk about this. As long as people talk about the normal stuff on the internet they are OK. The agencies have been told to leave this alone. As in the Watergate and some of this other projects that I mentioned everybody involved thought that they were doing it for some reasons, a different reason. They did not know what it was about, everybody was going in different direction. That is the same thing we find here in aerosol program. The pilots probably do not know what they are doing, the crews that put it there they have no idea what it was for. We believe that it was sold to governments as global warming fix. We believe that but it was not. It was about sub program in the Navy program called VTRPE. That is what is about. You heard all kinds of explanations for 7 or 8 years but its for the VTRPE. And its the part of the Radio Frequency Mission Planner Its a computer system, RFMP, and VTRPE programs are the sub programs within that system. And it was first put on the ENTERPRISE and other aircraft carriers for battlefield imagining. The system would not work over the lend terrain adequately, or accurately rather, without creating a duction of the radio waves over the land terrain and they use the mixture of barium salts to do that, and that enables the whole system to function. It is the system that USA uses in Afghanistan, and Iraq and probably will use it in Iran and some other applications. And that is what its about. It is about VTRPE. Within the Navy program we see DARPA and they are into biologicals, and that is at what Clifford (Carnicom) shines. He has identified many, many very harmful biologicals coming out of the aerosols. We have the greatest admiration for Clifford and we have admiration for Scott (Stevens) the weatherman. He is a man of conviction. So DARPA is a trax. That was one of the first that we sow coming out of the aircraft, they brought them in and sprayed the city. Strange, Art Bells mother lived in Ashville, North Carolina and he talked about it on the air although he did not fully understand. Now here is the killer, here is the big one. Recently we come upon another danger hidden in atmosphere over America that has nothing to do with Navy, VTRPE, or the aerosoling. It is an attack on the North American veather. The weather is being manipulated form the outside of the country. The hurricane that slammed in to the New Orleans was guided in there. So was the hurricane Rita, and Gastone and some of the others. We believe that the Russian systems that have been developed since late 50' and early 60' in Russia, is the ultimate weapon and that we have no defense against it. It is called SCALAR. That is the modern name for the systems. Scalar weapons. There are 3 divisions of scalar coming against America. One is called energetics, one is called bioenergetics, and one is called psyhoenergetics. The psycho function can actually manipulate mind, thoughts, personality, and cause astronaut Lisa to wear a dipper driving across a country. That kind of thing. There was an admiral, on an aircraft recently that stood up and said to everybody on the plain that he had smallpox. And they took him off the plain. That was psyhoenergetics. Its functions on the mind, you can actually insert another personality in the person. The bio comes against living bodies, their bio chemistry. The scalar transmitters in Russia are controlled by FSB, the old KGB, and not necessarily under the control of the Russian government. The woodpecker transmitters that have been going on for 25, 30 years over North America are part of the weapon system coming against North America. We are experiencing and hearing from the people from all over the country that hey are experiencing dizzy spells and they fall forward to the left. They are dizzy, fall forward to the left. I am sure that many of you listeners right now are saying, my God, that has happened to me. Well, it is happening all over the country and that is the manifestation of the scalar weapons systems. The town in Kansas was devastated as result of guiding and manufacturing that storm. That is going to increase in the rest of this year. The hurricanes were suppressed last year, but hopefully the USA science community will be able to suppress them again. That is the real threat against us right now. Other countries have this weapons systems. We are late coming in to speed. We do not have adequate defenses against tem right now. I will tell you that Israel stood between US and Russia with its defenses. Israel protected the US on several occasions. When we get right down to the line, there has been some white-knuckles time wit people completely oblivious to it. But, again, we are sure that Challenger was taken down and other commercial aircraft. On the west coast Alaskan airlines has been hawing a lot of trouble burning into this scalar fields. But nobody knows about it. Back when I was 19 years old, first went into the service, we were in Philippines in intelligence, we would penetrate Chinese airspace on regular bases to see how they will react and we would listen to their communications, military, and we would know something about their defenses. The Russians are doing the very same thing to us right now and we are not responding. It is as if we had no idea what is going on. And each time that happens they become more confident. This interview describes opening stages of chemtrails sprayings operation which now encompasses much more, and nobody knows what is falling out of those plains, worldwide, anymore. The truth about 'chemtrails' is not what the mainstream media and the shills on these forums are making them out to be. We are dealing with Star Wars. It involves the combination of creating an atmosphere that will support electromagnetic waves, ground-based, electromagnetic field oscillators called gyrotrons, and space based ionospheric heaters. Particulates make directed energy weapons work better. They ionize the atmosphere of the air using orbs let it photo-ionize from the ultraviolet light of the sun. The orb trails have various elements in them like carbon which can be used to absorb microwaves. Some of the orbs spray soft metal flakes that make the small aerial craft invisible to radar. Spoofer sprays. Sprays like these can be used to create colorful, magnetized plasmas to cloak fighter jets. Then, they make an aluminum-plasma generated by “zapping” the ionized air with electromagnetic energy from the space-based lasers. Ionization of air molecules is one phase of creating lightning. The high electric potentials used to create air ions are achieved by using capacitors to develop a high voltage (c.20,000 volts), low-current charge at an electrode. Such voltages can also generate ozone and NOx which even in relatively low concentrations, may irritate lung tissues, causing chest pain, coughing, throat irritation and aggravated asthma. Not barium. This is why the mainstream media pushes the idea of planes spraying barium on us without telling us, it is a psyop. Using a wacky conspiracy theory to cover up the truth. So this ionized air (also known as plasma) is much more conductive than the previous non-ionized air. Incidentally, the ability or freedom of the electrons to move is what makes any material a good conductor of electricity. Plasma is the tool nature wields to neutralize charge separation in an electric field. The ionization of air or gas creates plasma with conductive properties similar to that of metals. This is why they push the barium disinfo. The more density the more particles, this means that these particles which are colliding into each other will become more charged because there are more of them present to collide. What are they ultimately trying to do up there — is create a charged-particle field, plasma beam weapons. ‘Chemtrails’ are the medium — directed energy is the method. We know that these orbs can be used as transmitters and receivers because they have great, refractory and optical properties. They also are capable of transmitting digital or analog sound and video. The satellites can be programmed to track and monitor various areas. The beam entrained with the orb carries pictures in each just like the different frames in a movie. It is a particle beam weapon that is also a psyop frequency device. The satellites can project holographic pictures, sounds, and sensations to people through this technology. For instance some orbs have the ability to cloak themselves as birds. wanna talk to real people about real truth ? Did Nikola Tesla really design a superweapon capable of vaporizing whole parts of the earth? Some point to the 1908 Tunguska event as Tesla's own proof of concept test. Aseries of unexplained booms off the eastern coast of the United States in 1977, and one over the Netherlands in 1976, have been attributed to Soviet testing of a scalar weapon. Some believe that the Japanese yakuza crime organization regularly uses scalar technology to create typhoons and other weather events throughout Asia. So what is this "scalar" stuff, how does it work, is it real, is it something we need to worry about, and what has Nikola Tesla got to do with it? The principal public proponent of pseudoscientific scalar field theory is Thomas Bearden, a retired Lt. Colonel in the U.S. Army. Most web articles about scalar weapons cite Bearden's writing as their principle source. He has often written under the guise of a Ph.D. purchased from an unaccredited "life experience" diploma mill. Most of his many books, papers, and web sites are about perpetual motion machines, free energy, magnetic motors, and other "over-unity" violations of the laws of thermodynamics. Among his claims are that scalar weapons and other such techologies are responsible for Chernobyl, the destruction of the space shuttleChallenger, the downing of TWA Flight 800, the 2004 Indian Ocean tsunami, and Hurricane Katrina. You might be surprised to hear it, but I actually like Bearden. His science is largely fantasy based, but he seems a good genuine guy who hopes that scalar technologies will benefit humanity. On one page of his web site he shows a pile of his books about to be shipped out, and he comments "There's the information, on its way to going out, and perhaps to the very grad student who eventually turns the academic energy world upside down and makes it happen." That's a hope a lot of us share, but the cold hard reality is that scientific progress is almost always the result of long, hard, tedious work, and rarely a fortuitous sudden rewriting of the rules from the fringe. Bearden's profound and uncritical belief in nearly every conspiracy theory imaginable is fairly typical among many proponents of scalar weapons, and it clearly clouds their judgement. One of the greatest man-induced dangers... is the development of electromagnetic frequencies to be used as wave warfare. In April of 1997Secretary of Defense William Cohen admitted he was concerned about threats of terrorism with weapons that can cause earthquakes and trigger volcanoes. Over the years we have shared with our audiences many different approaches to the subject of quantum mechanics, the work of Nikola Tesla, the concerns about ELF wave warfare, mind control, and other technological nightmares predicted by the misuse of these technologies. Investigators and researchers in these areas often refuse to speak publicly about their work, and usually Ltc. Tom Bearden is one of them. When asked, Bearden typically declines to share his knowledge about our government's involvement in behavioral weaponry, lecturing instead on the many other facets in his amazing repertoire. Indeed, there are other lecturers speaking publicly about behavioral weaponry, but often they are sent by the government to assure the public this stuff doesn't go on. But on May 16, 1997, however, Tom Bearden kept his promise, and agreed to be a guest on The Zoh Show and tell her audience what he knows about electromagnetic weaponry... he has discontinued public speaking about his knowledge, until this date, twenty years later, on May 16, 1997 when he joined The Zoh Show to help promote the New Energy Conference of May 1997, and fulfill his twenty year old promise. Zoh asked Tom to give his own rendition of his biography. "One of the things that I wanted to see was a science that was more humane, that considered human beings as well as materialism. Fortunately, quantum mechanics destroyed materialism about sixty-something years ago but unfortunately it hasn't fallen down yet. It's dead but it's not toppled over, and unfortunately most of our scientists are still materialists," meaning they believe that the brain is where all the action is. In their belief, he says, "there's no such thing as an independent mind or independent spirit or anything." Then he vowed revenge. When those things were deployed, of course, he had lost face seriously before the whole world and particularly before the Communist party. So Kruschev's days were numbered shortly after the Cuban Missile Crisis. He was desperate to try and stay in power. "...1962 was the Cuban Missile Crisis, as soon as those things got deployed a few months later, in April 1963, he did a tremendous dramatic test of the weaponry. First he killed the U.S.S. Thresher underneath the ocean off the coast of the U.S., left signatures a mile wide. The next day he placed an underwater burst of this energy, gigantic burst 100 miles north of Puerto Rico, one of the deepest parts of the oceans and we had a passing jet airliner which happened to see the surface of the ocean ball up and rise up about 1/2 a mile high in a mushroom cloud and fall back into the ocean, the symptoms of an underwater nuclear burst if you don't vent the gas bubble... the thing is he did get his revenge and he did demonstrate to the Communist party that the weapons were workable and they would destroy, for example, the finest attack submarine we had of the day." "...In general there's a "system within the system" in Russia. First of all you've got the Communist party which is really the dominant system, and it still is today. It's sort of lying dormant a little bit today, but not really. It still controls the KGB, and the KGB still has all the powers that it wants to exercise. And it always did control and have the development systems for the advanced weapons of the kind that I was talking about, where you use a different kind of electromagnetics.We pointed out that two papers, one in 1903 and one in 1904 by E.T. Whittaker, give you the way to go about constructing and using this new electromagnetics. "...That last paper was used to establish what today is called Super Potential Theory and very few people work in it but it's known. The first paper was completely ignored and it gave you the ability... to create energy at a distance. It does not flow through space as normal EM [electro magnetic] Waves. It's not ELF [extremely low frequency]. It's not like your normal radio broadcasting system at all. It's really like a DC voltage that doesn't have anything going on on the surface but down underneath it has pressure waves, and the pressure waves bang into the system on the other end and create real electromagnetic energy on that end. Putting it simply... there's no such thing as a shield for it. So obviously that kind of weaponry is head and shoulders above anything else we normally look at including firing a laser beam here at something up there, you know, and with it going through the air in the normal fashion... What happens at the other end is the energy rises directly as out of the local vacuum the actual space time the thing's embedded in." To define scalar energy, Tom drew an analogy. "Suppose you have an ocean -- after all, we know today that space itself is a special kind of ocean. It's filled with enormous flux activity. It's not an emptiness at all, sort of like a special kind of sea or ocean. The waves that you have on the surface where the water has to rear up, be physically lifted up, and moved energetically, that compares to a normal electromagnetic wave. Those waves move pretty slow on the surface of the water. Now underneath the water if you sort of had a little flat plate area and you bang this plate very sharply with a little shock wave, you get a pressure wave that goes through the water. This pressure is just a transmission of pressure... In other words you have a hidden type of wave that buries up to what we would say in space time, if you want to talk general relativity, or better yet to look at it materially the way that Whitaker did and so forth, it simply infolds inside the scalar potential, what we normally call just DC voltage." Working in scalar energy "can do a lot of good as well as a lot of bad," says Tom Bearden. "Let's talk about some good and bad that you can do in terms of human beings. First of all, a Russian scientist named Kosnoschev who headed up a research institute in Siberia in those days did some enormously important work.... As far as everybody else was concerned [he demonstrated] openly just normal electromagnetics -- but it wasn't. It was the special stuff. He demonstrated that any kind of cellular disease whatsoever, without limitation, can be captured and transmitted into other cells at a distance using this special kind of electromagnetics. They did about 18,000 experiments, and research institutes can prove this. And so, of course, the KGB and so forth started weaponising that effect very highly. You know for years [they used] the so-called microwave radiation on the U.S. Embassy in Moscow where they induced all kinds of health changes. This was a limited test deliberately kept very small, although they did kill three ambassadors." "...Wheeler, one of the great physicists of this country, pointed out that if you condense energy like in mass or you have a cloth of energy, that affects the actual fabric of space time itself. It's like it pushes the sheet, makes a lump in it." Zoh likened it to dropping a child's ball on his bed and the sheet gets a bump in it. "It changes it," continued Tom. "It's an engine. In return the geometry gets twisted up, interacts back on the mass. Mass tells space time how to curve, space time curvature tells mass how to move. This operates at all levels and all you have to do is capture these little clumps of energy, make a pattern of them that you need, and that's called engineering the vacuum. We just call it vacuum engines. "So you can make these little pockets of energy in the actual vacuum itself and the emptiness in front of you, little energetic dispositions. It's got forces in it once mass is put there. There are little invisible fingers that are little engines and they work on the mass. They work inside the nucleus. They work wherever you design them for." "...There's two kinds of frequency there. There's the frequency that exists up on the surface of the ocean and then there are these jillions of frequencies that are hidden down underneath the ocean. Those are the ones that we're talking about." While Bearden and other teams of scientists world over are trying to learn how to use that available energy to heal and to change the disease state, it can also be used to kill. "It's the ultimate biological warfare, of course," continues Thomas Bearden. "I'll say this flatly, and I won't answer any further questions about it; the Gulf War Syndrome was induced... It was induced with this stuff. All the rest... was contributing factors that everybody's talking about... There are some deeper signatures if you look into it very deeply that show you exactly how it was done and the fact that it was induced. It was a test. It was a test of a very special kind of weapon I have not talked about yet. Anyway you can use it to create diseases. "You can just as easily use it to cure diseases” continues Bearden. For example there were experiments in France in the early 1960s when they cured lab animals of terminal tumors and other vicious infections like the sleeping sickness using internal electromagnetics -- without knowing what they were doing. The late Christopher Bird wrote about the whole history of that project. "But nobody could explain how it worked.... What they were able to do was just back the cell up. Once the cell was infected or diseased or whatever, like in a cancer cell, they just reversed it back to a normal cell. They didn't kill the cell. That's not what you do. You just change it back and forth." Nobel Prize nominee Robert Becker also showed conclusively that extremely minute amounts of electricity can induce healing, a practice now approved by the FDA for use in healing bone fractures in hospitals everywhere. Unfortunately millions of people continue to suffer needlessly when electromagnetic healing could cure them of numerous ailments and illnesses, but the FDA will has not approved its use elsewhere..... There's been absolutely no [development] in this country, even looking at this internal electrodynamics, even though it's been in the hard literature for almost a century." 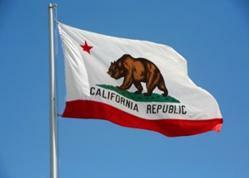 "One problem is all science is patronized, that is, ... somebody has to pay the bills.... The bureaucracy in science that controls the money flow, what money shall be spent and what it shall be spent for controls all of science. What people do not realize is science is not free at all in this country -- it is highly constricted. There are plenty of bright, young Ph.D.s that would love to work on this kind of thing, but the scientific community will not allow them because the bureaucracy will not give them any funds. And if they try to work on their own in this area they get destroyed, pure and simple. "...The other thing is scientists like to glorify themselves, but they form a distribution just like any other group of people. The broad in the middle are people just like you and I doing a special job. They're no better, no worse. There's a small percentage of them that are angelic almost. They are really the epitome of the scientists. There is also a small group on the bottom, the end of it, the bottom 11% that are nearly devils, and they are manipulative and they try to rise and control everything, and they are interested only in the big money game, who's got the money, who controls. Governments of the world have been made beasts of burden for large control interests anyway, not just one, but all kinds of control interests... And so what you have is all these competing interests using power, influence and money, and all buying everything. And that's what controls what science works on. That's why you don't get free energy. Free energy can be done anytime anybody wants to spend a little money. It's slowly being done anyway." 0:44 Chemtrails hit with SCALAR Waves? Hole punch clouds forming part 1? Is this a hole punch cloud forming in Florida? Frequency Noise in Victoria BC June 22, 2010 Haarp + Chemtrails? After a day of heavy chemtrail spraying in Victoria BC witnesses have been ... is this sound a SCALAR wave?. 9:53 Tom Bearden-Scalar Waves in the Brain and.. Suppressed information on this weapon. Particle Beam Weapons & Chemtrails HAARP, scalar and electromagnetic particle beam weapons and systems appear to be used in co-ordination with chemtrails. Alan Watt speaking about spraying and HAARP.